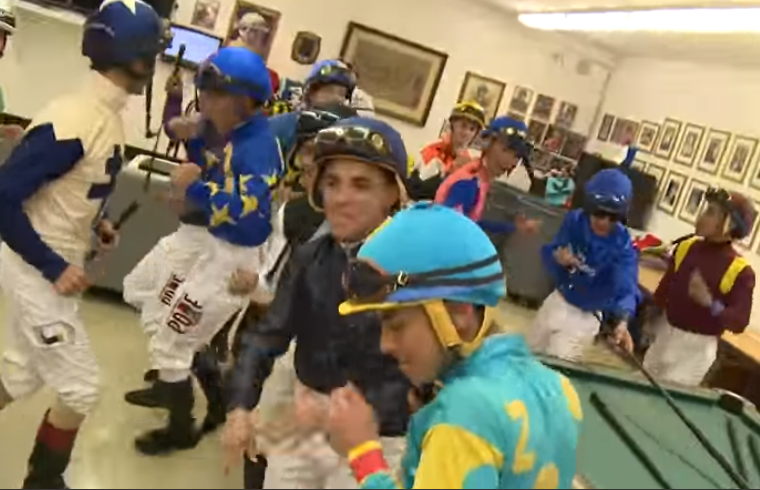 New York’s jockey colony pulled out their dance moves to take part in the Running Man dance challenge sweeping the nation. The video, released by the Permanently Disabled Jockeys Fund (PDJF) on Wednesday, was in response to a challenge issued by Thoroughbred owner and bloodstock advisor Bradley Weisbord. Twenty owners donated $1,000 each to the PDJF for the jockeys to wear their silks in the video, raising $20,000 with the video. The New York colony has now challenged jockeys around the country to create their own videos of the dance as well.